One evening after work we visited the National Gallery Ateneum. We had a bit of bad luck – the third floor of the gallery was closed due to the roof renovation. 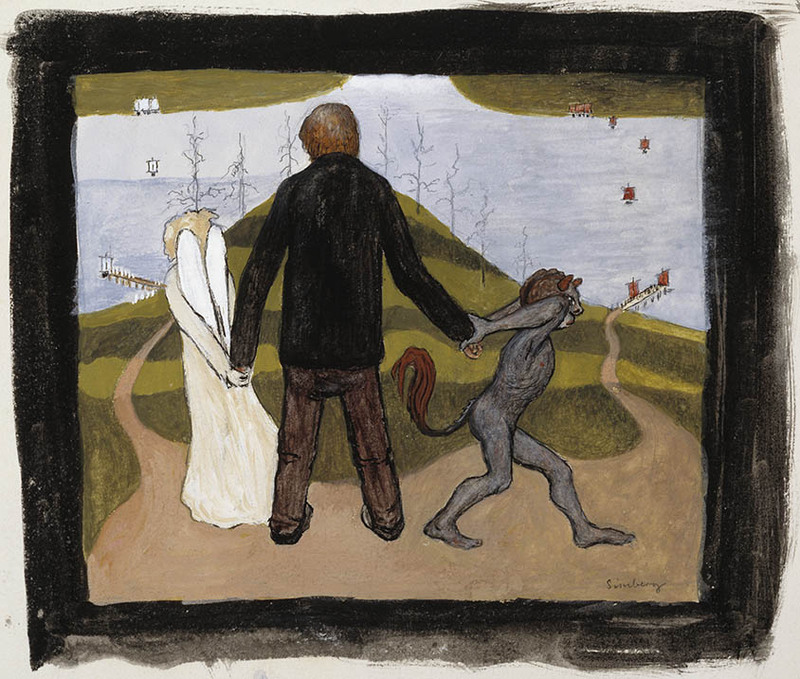 We also had a lot of luck – it was a time when the gallery hosted a very interesting exhibition “The Magic North – Myths, Fairy Tales and Folk Stories in Norwegian and Finnish Art” which presented major works of artist such as Edvard Munch, Gerhard Munthe, Akseli Gallen-Kallela, Hugo Simberg and Theodor Kittelsen. 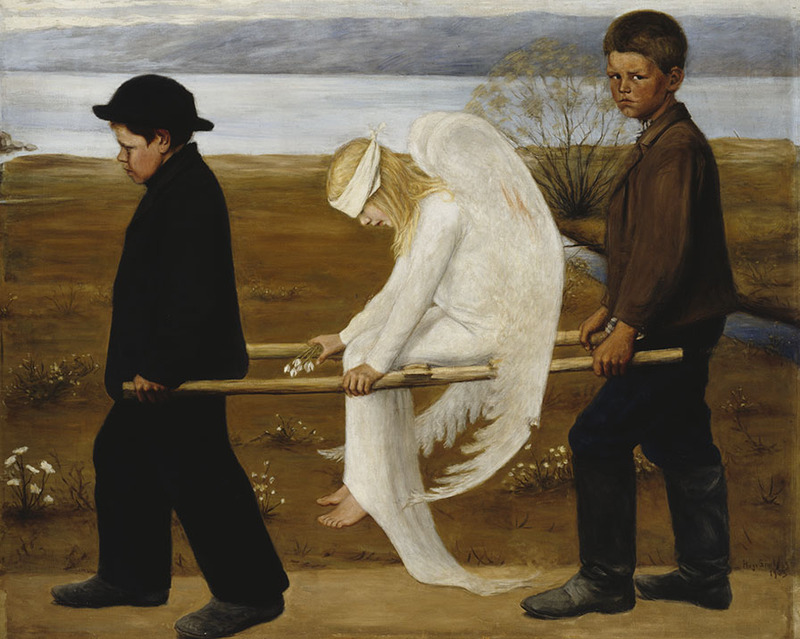 Hugo Simberg became one of our favourite painters! Ateneum is not exactly a place you’d like to visit with small children, but Finns would not be Finns if they haven’t been prepared for welcoming also the youngest ones. Within the Magic North exhibition, there was an incredible Room for Stories – a magic world, where the youngest guests could explore the ancient stories, become knights or princesses or even invite little trolls for the lunch. A magical room, where imagination has no end and where children are the kings of the world! So we’d let Rascals play and with their Dad, one by one, we would peacefully see the whole exhibition. As N like to emphasize she’s older than her brothers she went with me to see the paintings. The gallery had another thing prepared for children – a list of paintings to localize in the gallery and a task connected to each of them. But not typical basic tasks, but some more imaginative and challenging like “What do you think has happened before” or “Which words best describe the atmosphere of the painting”. And at the end of the visit each of Rascals has also received a set of three paintings reproductions which we will use for our educational projects. Helsinki (4/8) – We’re going on a… icebreakers hunt!